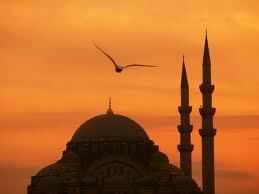 Turkey is one of the oldest and most historically rich country in the world. There is so much to see and do it, here is a list of 10 unmissable Ottoman sights in Istanbul, Edirne, Bursa and Agri provinces of Turkey. It is quite hard to choose between all of Ottoman sights in Turkey. 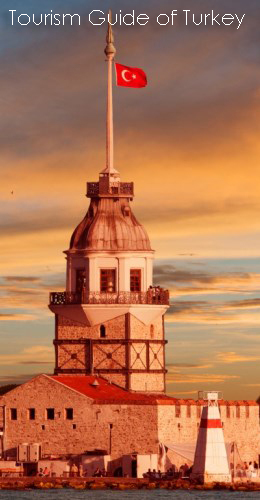 This Top 10 is just a quick glimpse of Turkey, only to give you the idea of the richness of the Ottoman architecture, diversity culture, and daily life. Ottoman architecture or Turkish architecture is the architecture of the Ottoman Empire which emerged in Bursa and Edirne in 14th and 15th centuries. The Ottomans achieved the highest level architecture in their lands hence or since. They mastered the technique of building vast inner spaces confined by seemingly weightless yet massive domes, and achieving perfect harmony between inner and outer spaces, as well as articulated light and shadow. Islamic religious architecture which until then consisted of simple buildings with extensive decorations, was transformed by the Ottomans through a dynamic architectural vocabulary of vaults, domes, semi domes and columns. The mosque was transformed from being a cramped and dark chamber with arabesque covered walls into a sanctuary of aesthetic and technical balance, refined elegance and a hint of heavenly transcendence. While mosques and tombs are the most characteristic monuments of Ottoman architecture, important secular buildings were also built baths, caravansaries, pavilions, halls, fountains and especially the huge palaces. Overall, Ottoman architecture has been described as Ottoman architecture synthesized with architectural traditions of the Mediterranean and the Middle East. Constructed between 1609 and 1616 for Sultan Ahmet I by the architect Sedefkar Mehmet Aga. It takes its name from the exquisite blue Iznik tiles which decorate its interior and is also the only mosque to have 6 minarets. Constructed in 1557, this grand mosque, which Sinan referred to as his journeyman’s piece, came to symbolize the greatness of Suleyman the magnificent. It is also notable for its clever ventilation system designed to draw off the smoke from burning candles. One of the last great buildings of the Ottoman era, the extravagant Dolmabahce Palace, which replaced Topkapi as the home of the sultans, was completed in 1856 on the orders of Sultan Abdul Mecit. It was designed by the most famous architects of the time, Karabet Balyan and his son Nikogos. This grand traveller’s inn was built by Mimar Sinan for Suleyman the Magnificent’s celebrated Grand Vezir Rustem Pasha and still serves as a hotel today. Part of the unique character of this palace is its remote setting. It was constructed by an Ottoman governor on an important trading route and is amixture of Ottoman, Persian and Seljuk styles. It was built between 1685 and 1784. One Response to "Top 10 Ottoman Sights in Turkey"